This past Father's Day I was finally able to follow through on a gift I have been planning for over a year. 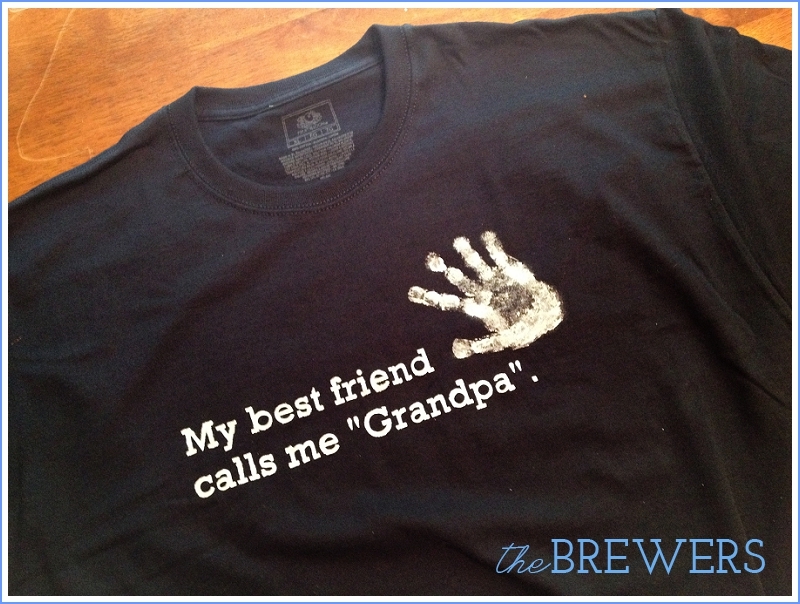 Autumn and I made a shirt for my Dad using my awesome Silhouette machine that my mom surprised me with at Christmas. 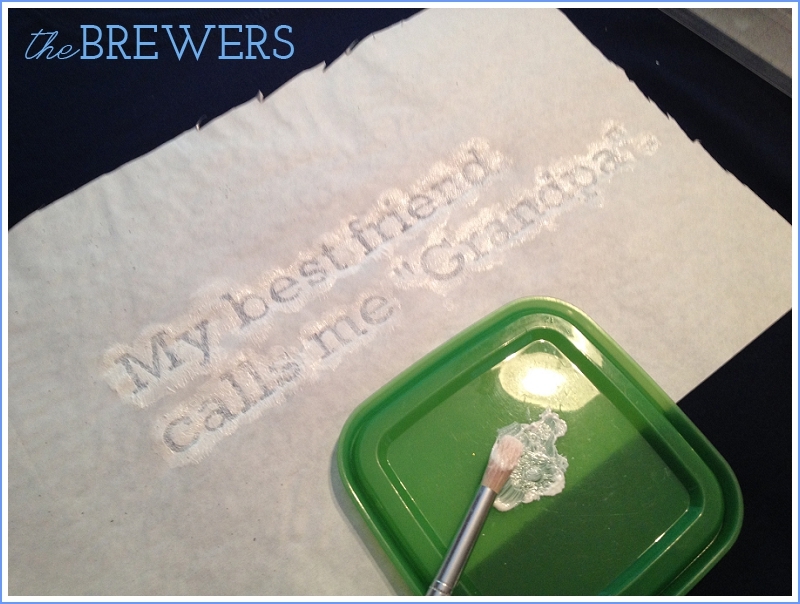 We used freezer paper to cut out our saying, and then you can iron it onto your fabric to create a seal-proof stencil. I was nervous about really letting Autumn get hands on but I wanted it to be a true present from her. 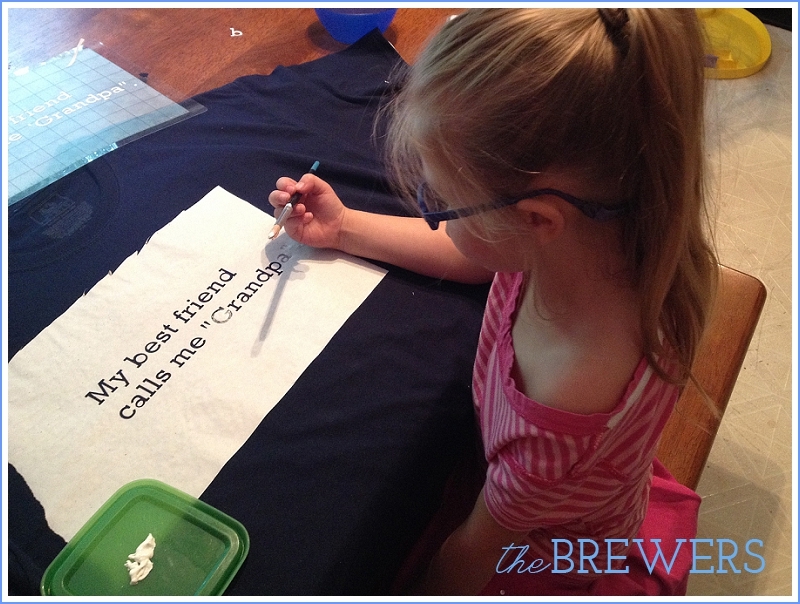 Using some fabric paint, she perfectly stenciled the saying onto Grandpa's shirt. While it's still dry, you peel back the stencil and voila! It's so easy and the whole project took just a few minutes. I love my Silhouette! As a final touch, I had Autumn stencil on her hand in the corner. When my Dad returned home from New York for the weekend, we gave it to him for Father's Day. Autumn was so excited to give it to him and show him her hard work. We must say - he looks pretty snazzy wearing it! Oh my gosh, how cute!!!! I love freezer paper stencils, though cutting designs out is a pain. I need a silhouette.